The Nutcracker! - Come see The Dance Connection's Nutcracker this December. 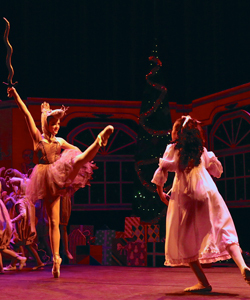 Our Nutcracker is performed by young professionals and fully narrated and abridged for the whole family to enjoy. From the very first arabesque until the last bit of make-up is removed backstage, a ballerina will maintain her poise. From start to finish, dancers that are part of The Dance Connection's Nutcracker strive towards precision and grace. 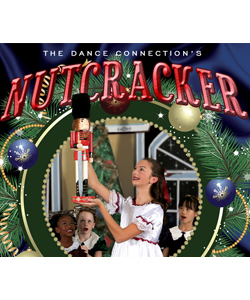 The Dance Connection's Nutcracker includes professionals and pre-professionals of all ages. Dancers, some as young as 5 years old, share the stage with accomplished professionals. Each year thousands of people come to see our dancers perform masterworks such as The Nutcracker. These future professionals train and perform together on a regular basis. Contact us now to be part of our next production. Online ticket sales for the Hillsborough Performance end at 10:00 am, December 11th. After 10:00 am, Tickets can be purchased at the door. Friday, Dec 15th at 10 a.m. & 7 p.m.
Saturday, Dec 16th at 1 p.m. & 4 p.m.
Sunday, Dec 17th at 1 p.m. & 4 p.m. Copyright © 2008-2016 eShepherdess, Inc.